Scooters are a perfect choice to commute in Peterborough for many reasons. Although public transport is easily available, having a scooter in Peterborough makes going and coming easier and faster. This article takes a look at the top reasons why you should own a scooter and the benefits of choosing one of ours. Why Own a Scooter in Peterborough? Faster in Traffic: Whenever there’s heavy traffic on the roads of Peterborough, your scooter can come to the rescue. Parking: Scooters’ small size makes it easy to park them almost anywhere. Riding a scooter also saves you a lot of money since there’s no needto pay for parking space. Minimum Age: You can ride a scooter once you become 16. On the other hand, you won’t be able to drive a car until you are 17. Fuel Economy: Scooters are very fuel-efficient. Our 50cc and 125cc scooters can last for weeks before they need filling up again, saving you money. 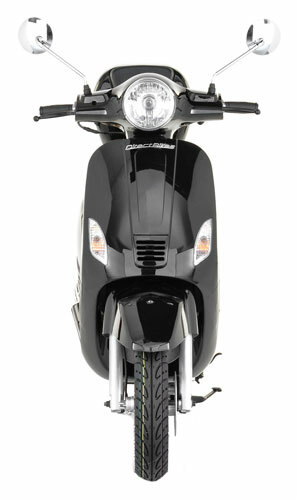 Price: The prices of our scooters range between £999 and £1099, making them some of the cheapest in the UK. Design: Whichever size of scooter you are getting, we have a variety of designs that will appeal to you. Finance Options: If you cannot afford to pay at once, you can pay in instalments. Insurance: By comparing quotes from top insurers in the country, we also help you find the cheapest insurance policies for your scooter. Although we have no dealerships in Peterborough, sending your scooter across to you is simple. All we need you to do is fill in your delivery information when making payment and we’ll deliver on the due date and time. Browse our range of scooters today, order one that catches your fancy and take pleasurable rides in the city.